For anyone who has grown up in a hot humid metropolitan city in the 80’s- this is going to bring you back to your summer vacations.. 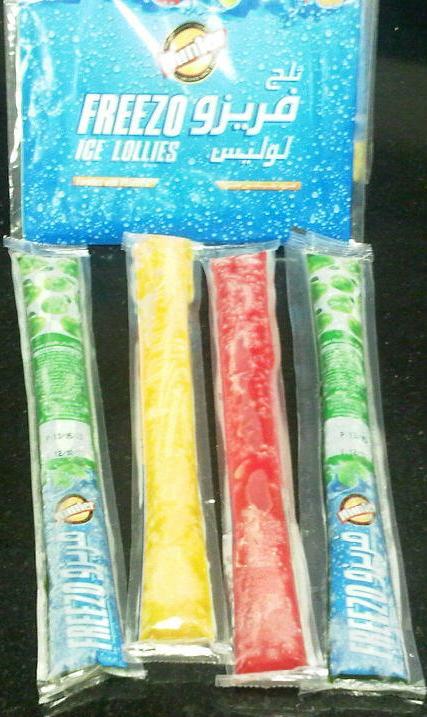 I remember mum getting this ‘fruit ice’ or as Mumbai kids called it- ‘pepsi’/ ‘chuski for me. You’d get amazing flavours including flavoured milk and the ever famous kalakhatta – a syrup is made from a fruit, called Jamun or Jambul. It’s scientific name is syzygium cumini and it is also called the Indian blackberry or the Java plum. This was a yearly phenomena, but I soon grew out of it.. I don’t think I’ve had them since I was 10 or 12. There have been times I have thought of this but have never known where to find it. The other day when I was walking through the aisles of Waitrose in Dubai Marina Mall, my eyes chanced upon these, and for AED 4.75 for 8, they were a steal! Previous Preaching to the Ephesians!!!!!!! Next 1 day and too many things to do!